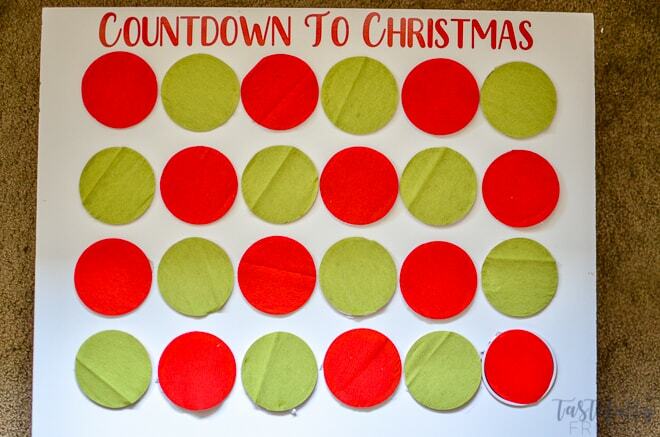 Create this advent calendar in an hour or less and for a fraction of the price store bought ones cost. 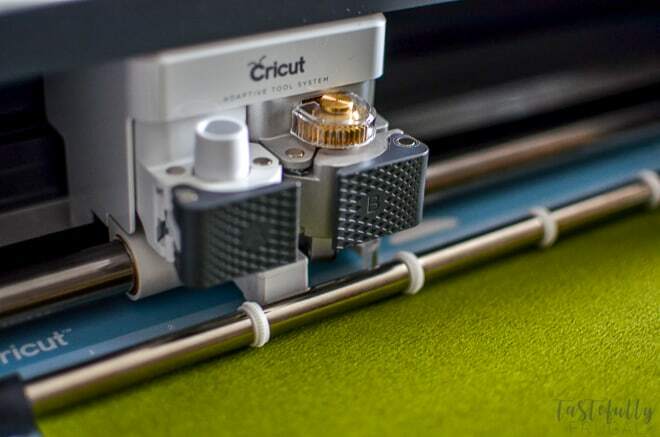 PLUS enter for your chance to win the New Cricut Maker! I remember growing up as soon as Halloween was over we would countdown the days to December 1st when we would get to start on our chocolate advent calendar. You know the ones I’m talking about; they were made of cardboard and had a plastic holder inside to hold the chocolate. I thought my boys would be excited for these same calendars too but they made it clear to me last year that they didn’t want the “little chocolate candies” they wanted a LEGO or Tsum Tsum advent calendar. I sometimes have a hard time telling my kids no to things but it was easy for me to say no to those advent calendars that cost $30+ and just had little toys inside that were worth less than half of that! This year I planned ahead. When I was looking through the Oriental Trading catalog that came with my Halloween stuff I saw this pack of Stocking Stuffers. There were a ton of toys, activity books, puzzles and more and it was only $14.99. There were enough toys do 2 calendars, one for each of my boys (if you have more kids they do have this bigger pack with 250 pieces – enough for 10 advent calendars). Then I remembered when I was a marketing manager, one month to build team moral, I made a punch board with gift cards and each day someone new would get to punch out a spot and win a prize or gift card. 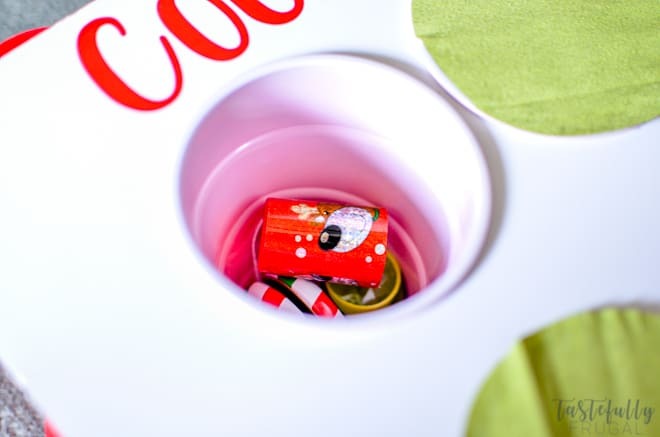 It was SO easy to make – I just used a foam board, red plastic cups and paper. I decided I could do the same for my boys too! This time I used this double sided crepe paper and the same foam board and plastic cups. I chose crepe paper because it’s easier for small hands to push through, and let’s be honest, it’s prettier too! Thanks to the Cricut Maker and my hubby’s hole saw we were able to get both of these made in just over an hour. 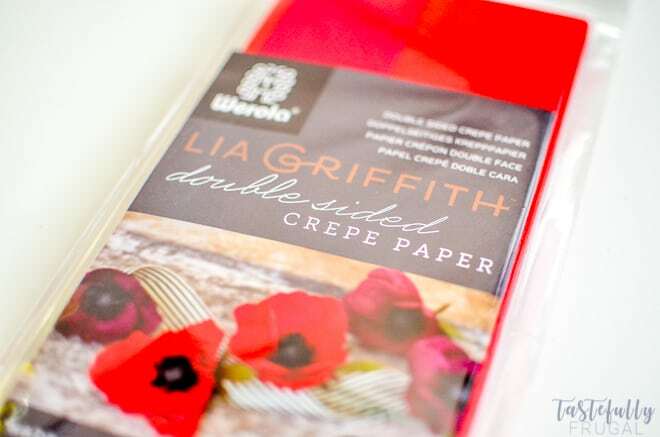 The Rotary Blade on the Maker cut through the crepe paper like butter with no rips or tears on all 24 pieces. Let me show you how easy it is! Hole Saw – you can get a 18 piece set at Harbor Freight for $14. 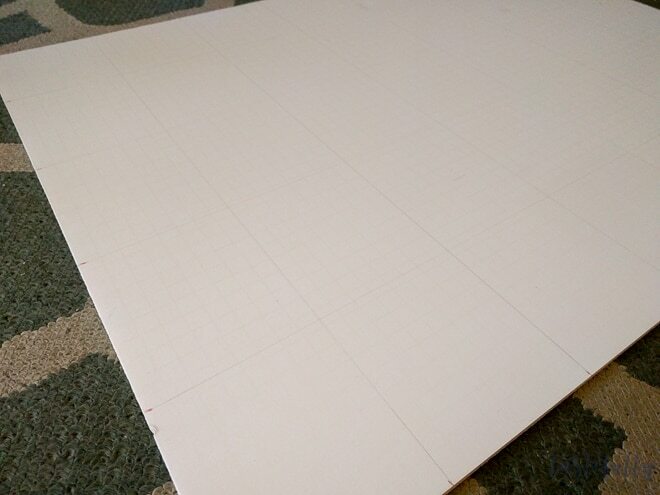 Measure out your board and mark with a pencil 6 equal spaced lines horizontally and 4 equal spaced lines vertically. Connect the lines to make 24 intersecting points. 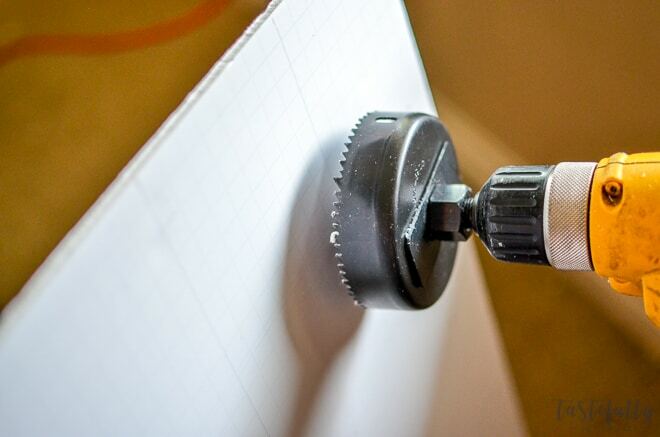 Use your hole saw connected to your drill to cut 24 holes in the foam board. Our cups were 3.75″ in diameter so we used the 3.5″ hole saw blade so the cups would easily fit into the holes on the board. Open up this design in Cricut Design Space and cut your words and circles out. I used Cricut Vinyl in Red for the words and green and red crepe paper for the circles. Use transfer tape to attach the saying to the top of your board. 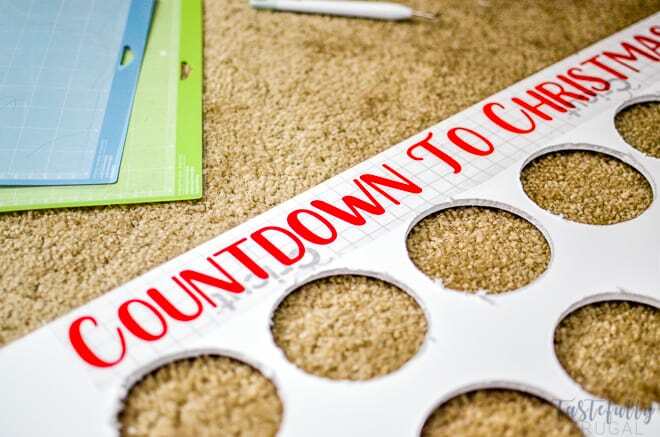 Put Elmer’s Glue around the rim of your plastic cup and insert into hole on advent calendar. Repeat with all cups. Fill each cup with a toy/puzzle/activity. Some of the toys in my pack were too big to fit in the cups so I just put a little gold coin I had leftover from St. Patrick’s Day in and will let them pick their own prize that day. Line the outside diameter of the crepe paper circles and place over each cup. And there you have it! 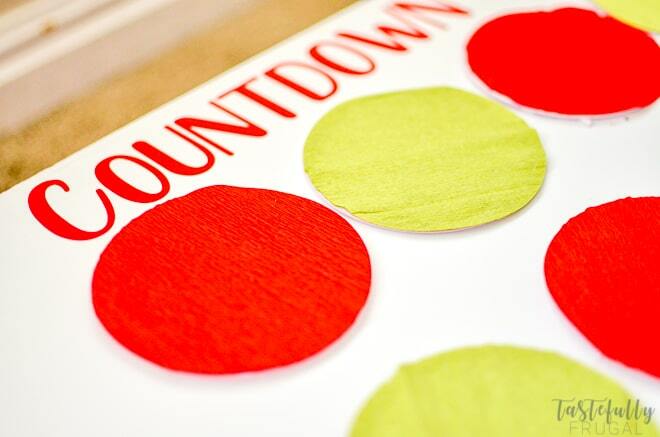 A fun advent calendar your kids will LOVE for less than half of what they cost in stores. My total cost for this project was $30 ($5 for two foam boards, $2 for cups, $8 for crepe paper, and $15 for the stocking stuffer pack) to make 2 advent calendars! 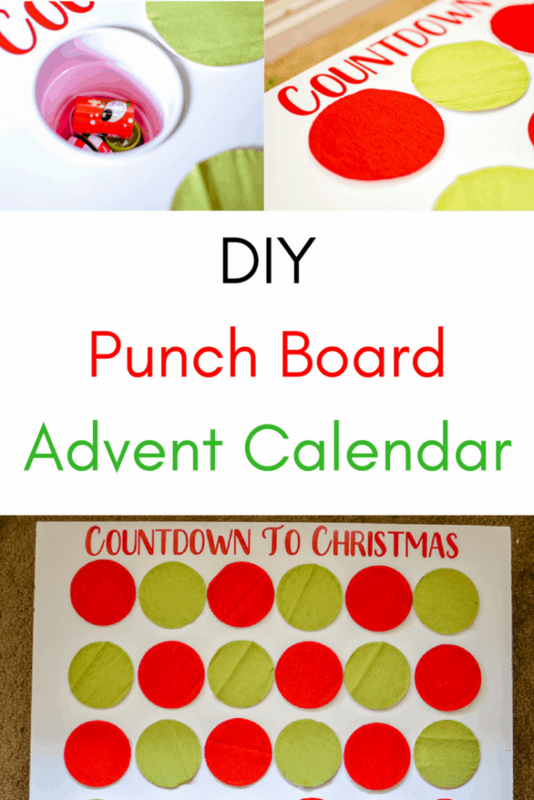 Do you do advent calendars in your family? I’d love to hear what ones you’ve made or bought!